The Dragon Realms are celebrating the 'Year of the Dragon' when a mysterious cloaked figure emerges to steal all the Dragon Eggs. Under the spell of the evil Sorceress, an army of Rhynocs is now guarding the helpless eggs in the Forgotten Realms. 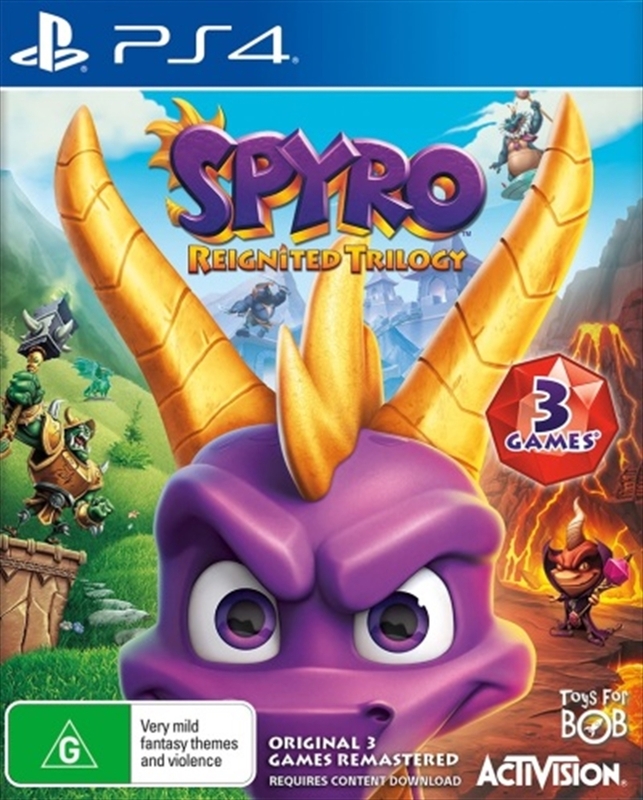 With new and old friends, Spyro is on a quest to recover the lost eggs, defeat the Rhynoc army and stop the evil Sorceress. Turn up the heat in this adventure by exploring the mysterious realms and completing outrageous challenges, such as pulling off sick tricks on a skateboard and stepping into a boxing ring. "